We had a great day out paddling amongst a great setting at Bells Rapids (Brigadoon, Western Australia) where we held our only sprint race of the season. The water level was low (0.48) but enough to cover the rocks, which made it more of a technical course. Bells rapids is made up of a series of small rapids over a distance of 700m. Bells drop (under the bridge), Devils slide, Side Swinder, Dogs Breakfast, and Bollands Elbow. It was very close racing amongst 27 paddlers with 1 minute interval starts. The K1’s battle continued with Dave Worthy (3m19s) beating rival Ben Pope by 0.2 seconds. Ben almost coughed up a lung at the end of his first paddle, and set up a commanding leading for the first race. Dave Worthy came back in the second run and only just beat Ben. 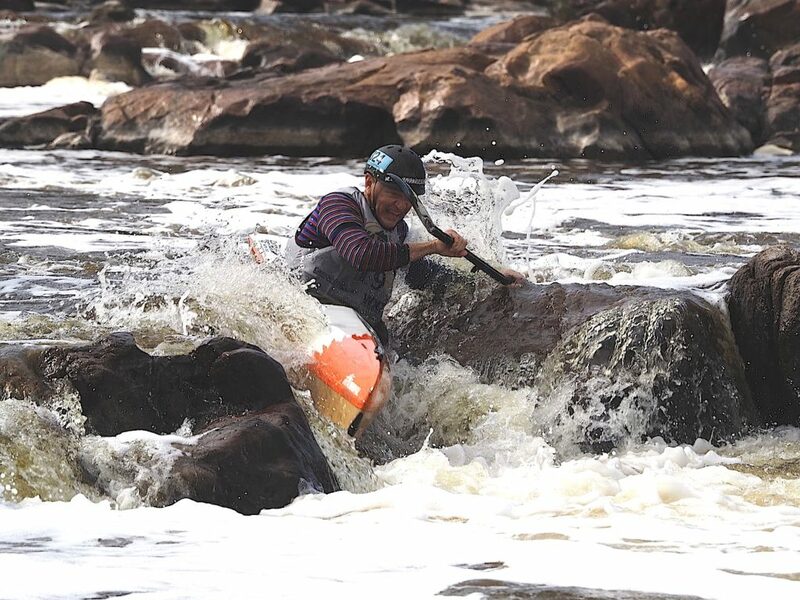 In the wave hopper division, Peter G once again showed some great paddling skills and speed (4m 9s) beating Adam Roujae who paddled his first Wildwater race. There were plenty of spectators cheering everyone on and volunteers that helped to make the event go smoothly. We finished the day with a BBQ at the Liddles where Pete cooked up a storm. A big thank you for all your support.